Hawaiian Airlines wants to connect its Pacific island home to the other side of the world and begin 13-hour flights. But it's not sure what airplane it wants to use. The airline is rethinking its multibillion-dollar plan to buy Airbus A330neo jets, according to chief executive Mark Dunkerley. For Hawaiian Airlines (HA), it would be the second time it changed what long-range aircraft it wants to buy. Airbus in 2014 nixed plans for a smaller version of the comapny's new long-range A350 XWB that the airline had ordered. Because of that, three years ago, the airline ordered six A330-800neo airliners from Europe's Airbus (EADSF) for use in 2019. It has since been the only carrier to buy the smaller of two models of the A330neo. Neo stands for new engine option. Dunkerley told CNNMoney this week the tepid sales have Hawaiian weighing whether the A330neo is "the right airplane for us," or whether it will turn instead to Boeing, the planemaker's U.S. rival. "We're still a big believer in the [Airbus] program, but we also know that Boeing has some terrific alternatives which we're also interested in looking at," Dunkerley said. The A330-800 touts a 7,500 nautical mile range, meaning Hawaiian could connect Honolulu to points as far as India, western Australia, London or even Moscow. The airline wants to court leisure travelers from the other side of the world to Hawaii. 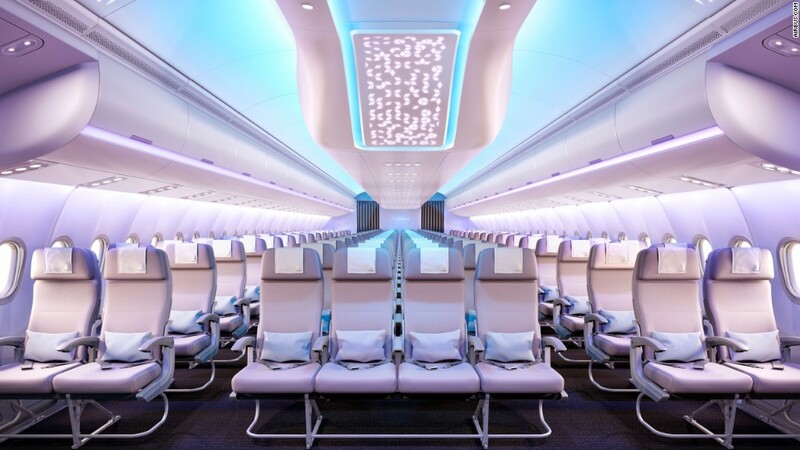 Dunkerley said the airline is talking to Airbus about its options, but is also looking closely at a possible purchase of 787 Dreamliners from Boeing (BA). "The best way of figuring out if this is the right aircraft for us or the Airbus alternative is to be talking to both of them," said Dunkerley. Should Hawaiian Airlines opt for a different plane, that could spell the end of Airbus' roughly 260-seat jet. Airbus said it is still moving forward with development. "Production of the A330-800 is well underway with first parts coming together at various Airbus sites throughout Europe," said an Airbus spokesman. Airbus is on the verge of flying the A330neo for the first time, kicking off a year-long test as early as the second half of October, according to two people familiar with the company's planning. Hawaiian is in the middle of a major replacement of its fleet. 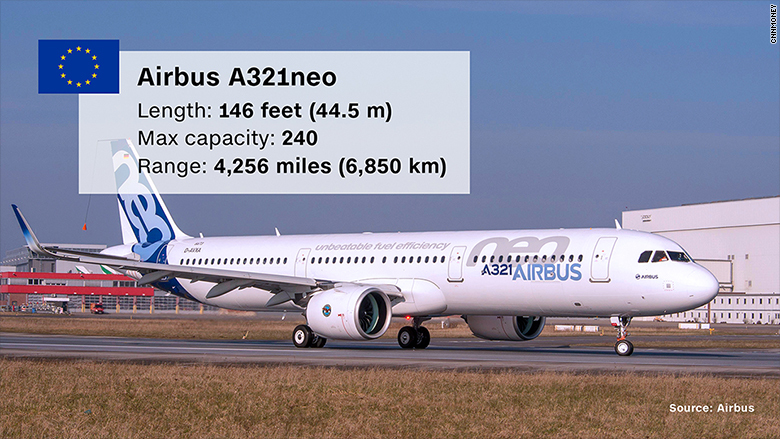 Starting this month, it'll take delivery of its first A321neo aircraft from Airbus. The 189-seat single-aisle airliner has enough range to fly from Hawaii's smaller airports to smaller cities in the United States that may not have the demand to fill its bigger twin-aisle jets. Hawaiian's first A321neo arrives in October. With no bridges or tunnels between the Hawaiian islands, Hawaiian and other carriers rely on air service to quickly shuttle passengers across the archipelago. But the quick turnarounds, repeated landings, short durations between takeoffs when the engines are at full power, and the punishing salty sea air can wreak havoc on an aluminum airliner. Since 2001, Hawaiian has operated a fleet of small single-aisle 717s from Boeing. Its 20 jets fly 25-to-35-minute hops around the islands roughly 10 times a day, every day of the year. While Hawaiian is overhauling its fleet, those workhorse 717s aren't going anywhere. In fact, they could make it well into the 2030s. "For what we do, there's no finer aircraft in production or even on the drawing board," said Dunkerley. The 717 has been out of production for more than a decade. But the jet has found a following with carriers like Hawaiian and Delta Air Lines, which has 91 of the 155 that Boeing built. Designed for short flights, the 717 had to remove seats from the cabin in favor of custom fuel tanks to make the crossing between California and Honolulu. Airplanes can fly for as long as they're properly serviced, but at some point it become too expensive to fly the gas guzzlers. When Delta finally sent its last 1960s-era DC-9 (on which the 717 is based) to the boneyard in 2014, its last commercial service came after 36 years of passenger flights. "The DC-9 went on for 40 years," said Dunkerley. "Against that index mark, we're now 15, 16, 17 years into the age of the fleet, so we've got plenty of runway ahead and at this stage we're not even contemplating" retirement.